Should You Be Concerned About Cybersecurity? Experts are predicting that by 2020 (just over a year away) there will be 200 billion connected devices. This means planes, trains, automobiles, homes, cities, people, and even pets. Technology is everywhere, and it’s changing the way we live, and how we behave and interact with the world around us. As technology becomes more and more integrated into our day-to-day lives, we become more and more dependent on it. And it’s this dependence that makes us vulnerable if technology fails. When I’m on the road and my Android phone battery dies, I am cut off from my work and my clients. I’m not able to access my contacts, text messages, voicemail, email, or my calendar. It’s in these moments that you realize how dependent you are on technology. It’s ridiculous, but it’s 100% true. In the world we live in today, it’s important that technology is available, protected and secure. If not, we will all suffer consequences in our daily lives. Technology appears to be becoming more and more insecure as we get more and more dependent on it. Vendors are pushing out new technology devices so fast that security is an afterthought. As consumers of these connected devices, we want them to be as easy to use as possible – plug-and-play. We don’t want to have to fiddle around with configuration settings. We want it to work right out of the box. Guess what? The vendors see this so they continue to place simplicity and convenience over security. We see instances of poor cybersecurity every day: alarm systems, smart homes, automobiles, iPhones, Android phones, the list goes on. For example, the smart alarm SimpliSafe hack that affected 300,000 devices, and the only possible fix was to replace all of them. Another is a car hack in 2015 resulted in 1.4 million cars being recalled by Chrysler. A recent report on IoT cybersecurity found that 70% of devices did not encrypt communications, and another report found that cyberattacks have been growing quickly over the last couple of years, and there’s nothing to indicate they are not slowing down. Considering that we have been living in a world surrounded by technology for the past decade, why are there so many cybersecurity problems today? For starters, I believe it is the lack of knowledge and awareness about the importance of cybersecurity. Some companies simply don’t care about cybersecurity, while others care but don’t know what to do or how to do it. Another reason is unnecessarily complex networks where old, new and different technologies are jumbled together. 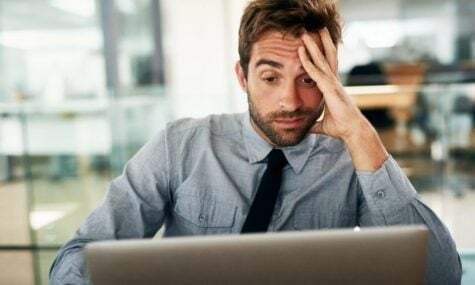 This happens frequently as businesses update, and prefer to band-aid or update just a single component of their network instead of looking at their network as a whole. Just one insecure component could make a whole system insecure. Finally, a lack of time, expertise, and money to implement cybersecurity measures. This is especially true for small businesses that don’t have the resources that larger businesses have. In either case, cyber criminals don’t care how big or small your business is. All cyber criminals care about is getting into your network to either steal your data or to use your network as a launching platform for other criminal activity. There’s no doubt that there are growing cybersecurity threats. These threats will continue having an economic impact on your business and your lives. Going into 2019 and beyond, we must work together to change this situation before it gets even worse.